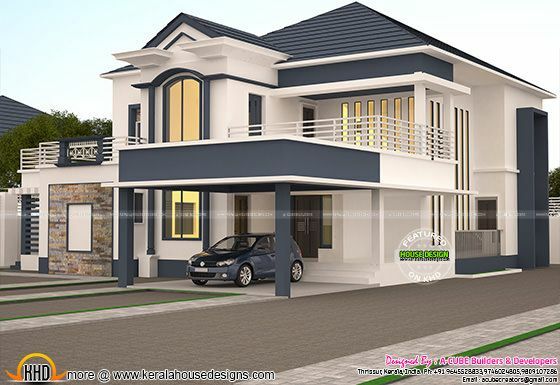 4122 Square feet (383 Square Meter) (458 Square Yard) modern house architecture design. Designed by A CUBE creators, Thrissur, Kerala. Ground Floor - 2414 Sq.Ft. First Floor - 1708 Sq.Ft. Total area - 4122 Sq.Ft. 1 comments on "4122 square feet 4 bedroom modern home"
Total cost for manufacturing of this villa?